Record label Defected describe Copyright as "the living embodiment of everything the label strives to create." "They are an institution, firmly representing the UK house contigent and flying the British house music flag wherever they perform." One of the stops on Copyright's tour schedule is Hong Kong and they have dedicated their new compilation to the vibrant underground house scene in the city. It features tracks by the likes of Quentin Harris, Oliver Klein, Osunlade, Marshall Jefferson and Hardsoul. Also included is one of the tracks of summer 2011 Ray Foxx - The Trumpeter. "You've got to try and bottle the live set," say Copyright. "We want to capture the essence of our performance, using acapellas and special touches, to reflect the excitement and vibe of our gigs." 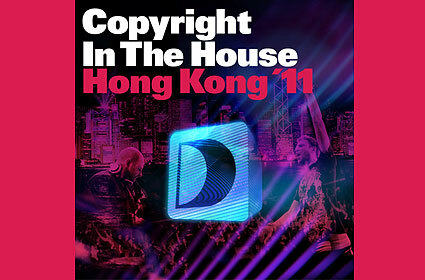 Copyright In The House Hong Kong 11 is out now.